I met Titus in 2000, when my roommate found the poor beast wandering on the freeway near Oakland, California. 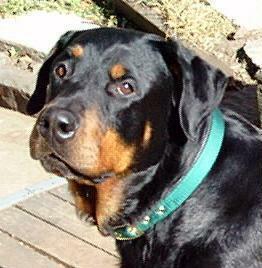 When I met him, the LAST thing I thought I needed in my life at the time was a dog—least of all a large Rottweiler. Titus changed my mind about that in the space of a few short weeks. He was without a doubt the greatest dog in the world. Titus died on August 4, 2003. 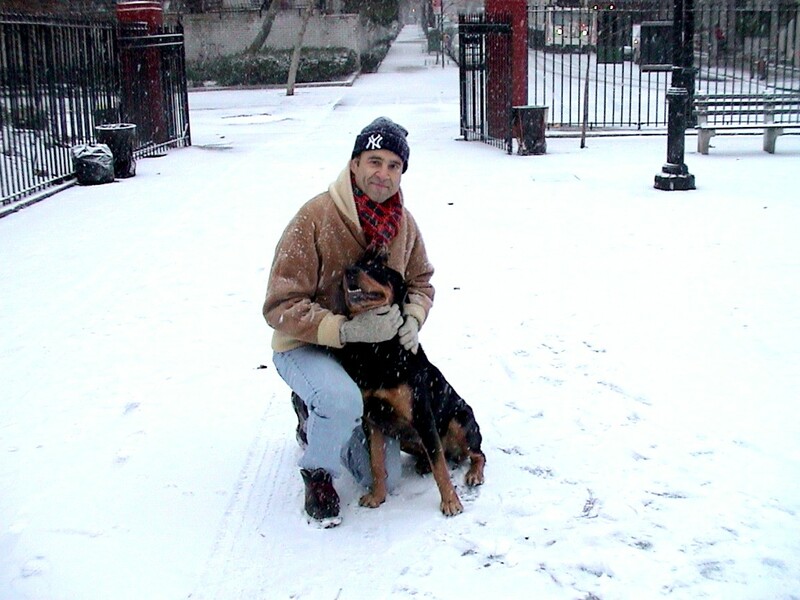 Titus' first snow, December 2002. Titus in Central Park, summer 2002.